Price Kitchens have a brand new expertly designed range of stylish bedrooms suitable for all tastes and budgets. From contemporary styles to more traditional designs, we’ve got the right bedroom to suit you and can cater for every customer’s needs. Our extensive showroom has long been known for quality kitchens and now features a wide range of bedroom designs incorporating storage solutions, integral features and all manner of fixtures and fittings. 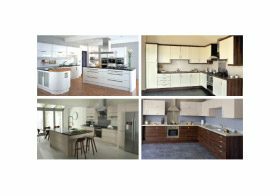 We’re the first choice in Chipstead and the south east for kitchens and hope to become just as well respected for our bedrooms too. Get in touch today to find out more about our bedrooms in Chipstead or visit our showroom to explore our range of bedrooms for yourself.